New hires need to hit the ground running. They must be able to complete complex tasks and follow compliance protocols as soon as they enter the workplace. However, skill shortcomings can hinder their productivity and create a steep learning curve. The good news is that there are ways to give them a head start with the help of microlearning resources and real-world online training activities. Here are 8 tips to fill skill gaps fast in onboarding online training. The fastest way to bridge the gaps is to identify them as quickly as possible and plan a course of action. Encourage new hires to assess their own skills and strengths with a pre-course pop quiz. It can even be in the form of a branching scenario that tests their ability to apply skills in the real world. These self-assessments allow new staff members to determine their own areas for improvement privately, which gives them the power to fill gaps autonomously without feeling judged by their peers. Online training simulations are ideal for task-related skills that employees require from day one. For example, do they have sufficient communication skills to handle customer complaints? Online training simulations also serve another important purpose, which is to mimic real-world pressures. New hires have the ability to test their mettle and see how they might react on the job. Thus, they are less likely to feel overwhelmed or stressed when they encounter workplace challenges. Real-world examples show employees how to apply their newfound knowledge and skills. They also put the information into context and emphasize the benefits of bridging essential skill gaps. Case studies and stories are also valuable online training tools that fill gaps and stress real-world applications. For best results, use multimedia to bring your real-world examples to life and engage employees on a personal level. Incorporate cut-out online training characters, audio narrations, and images to enhance realism. You can also transform your story into a skill-building serious game to entertain and enlighten your corporate learners. Some new hires may feel like they’re going it alone. That they are lagging behind their peers or dealing with skill gaps that are nearly impossible to bridge rapidly. However, a personal anecdote can help them connect to the online training experience and provide a relatable perspective. For example, the narrator overcame a significant interpersonal skills gap and ended up becoming the top salesperson in the region. Online training gave them the opportunity to brush up on verbal communication and other social skills they needed to improve. Your new hires can do the same. Employees need quick and convenient reference tools that are accessible 24/7. Especially when they are trying to bridge skill gaps that hinder task proficiency. A microlearning online training library allows them to focus on their personal areas for improvement. They can use a broad range of online training resources to hone their abilities and overcome common challenges. The key is to break your bite-sized online training repository into categories based on new hires’ needs. For example, a separate section for sales and negotiation skills. Also, it’s best to use a responsive design tool to create microlearning online training assets. The system automatically displays the appropriate version based on the user’s device. Every member of your team has their own strengths and shortcomings. As such, you might consider personalized online training paths that feature clickable course maps and pick-and-choose catalogs. New hires can select online training activities and resources that center on their specific skill gaps. They also have the chance to brush up on skills on their own time, instead of having to keep up with peers or wait until the next formal online training session. Online training contracts are another great way to outline a personalized plan of action and hold new hires accountable. Online training contracts should also feature recommended online training resources and realistic goals, complete with milestones. Live webinars offer new employees the rare opportunity to address their concerns in real time. This is especially useful in asynchronous online training environments. Schedule the online training event well in advance and send new hires an outline of the discussion topics. You can also invite them to submit their own questions. Record the session for those who are unable to attend, and follow up with targeted online training activities to reinforce the takeaways. Online training webinars also give you the chance to identify common skill gaps among your newest team members, as well as gather feedback to improve your skill-based online training resources. Social media pages and groups are valuable online training tools for your new hires. Especially if you post on a consistent basis and provide targeted tips and tricks. You may want to create a closed group for your onboarding online training program so that employees feel more comfortable commenting. They may be more reluctant to share their insights and experiences if they know it’s in a public forum. Another social media strategy is to focus on a new skill set each week and post resource links and quick tips. For instance, online training tutorials or video demos that showcase a work-related skill. These 8 onboarding online training tips can help your new hires acquire the skills they need to meet the demands of their job. 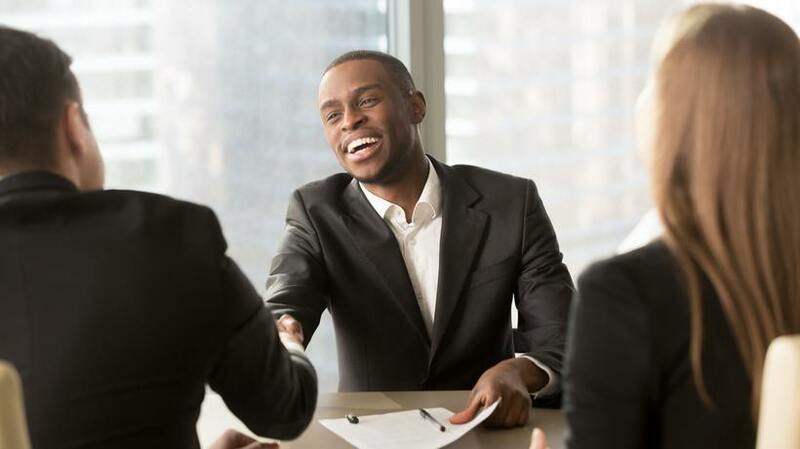 However, they also allow them to build self-confidence and receive the ongoing support they require, which makes them more likely to hone their talents and remain with your organization for years to come. Looking for ways to increase interactivity in onboarding online training? Read the article 7 Innovative Ways To Increase Onboarding Online Training Interactivity to discover 7 innovative ways to add interactivity to your onboarding online training program.